Move over winter—spring has arrived, and with it, a variety of produce we haven’t seen the likes of in months. Truth be told, we can’t contain ourselves. While we love the creature comforts of winter (the season itself is excuse enough to add an extra dab of butter or layer of cheese to anything), we couldn’t be more ready for a change. So, for our April issue, we’re celebrating spring in all her glory, including the ingredients and recipes we’re most excited to be reunited with. We’ll also take time to marvel at Mother Earth herself—the lady behind the annual asparagus frenzy and compulsion to hoard strawberries—and that means looking more closely at what we buy, where it comes from, and how we consume it. Over the next month, our editors will explore the different aspects of seasonal and regional cooking. They’ll let you in on what they’re buying at the farmer’s market week to week, investigate how far your favorite ingredients travel to get to you, and share their favorite spring recipes. 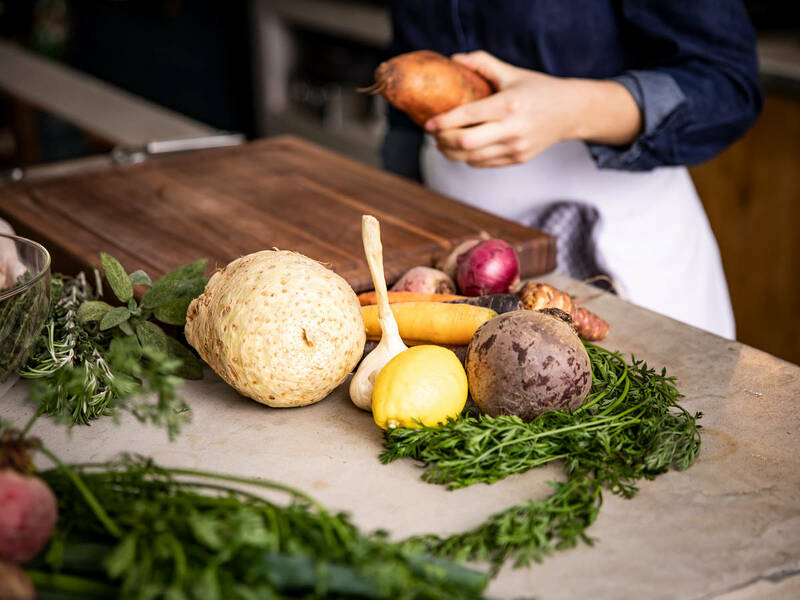 As Kitchen Stories’ home base, we’ll also take a closer look at German food culture: its signature dishes, regional superfoods, and key ingredients. Did we mention we’ll feature four brand new asparagus recipes, in addition to other show-stopping seasonal and regional dishes throughout the month? Have a great seasonal and regional recipe of your own to share? Send it to us at community@kitchenstories.de. Happy cooking! Need some inspiration for what to look for at the farmer’s market this weekend? Get into the rhythm of seasonal, regional cooking with one of the recipes below!